Donated a gift basket with a copy of each of my books to a jewelry auction because one of them is about jewelry and doesn’t that sort of count? I'm not exactly sure how it is that I've managed to get to this point in my life without ever having been to Las Vegas. Except that I do know. In that I've simply never chosen to go there. My impression of the city has never been favorable, I'm not a gambler (except that company Christmas party that one year that I totally rocked even though the money was fake and no one believed it was any indication of how I would fare in an actual casino....pppssshhh). After so many years of assuming Vegas was a bit slutty, now having been there--for a work trip earlier this month--I can report that Vegas is, in fact, a bit slutty. At the risk of incriminating our society at large (not that it's any secret), this obviously resonates with people. This idea of boozy, scantily-clad evenings spent frittering away money in smoke-saturated hotel bottoms. Sign me up. Except don't. Because that sounds terrible. I was in town for the JCK show (THE jewelry trade show), and it goes without saying that the place (the convention center...not Vegas, hells no) was a lot like how I imagine heaven. In that there were diamonds, gems, and jewelry pretty much everywhere. Diamonds. Freaking. Everywhere. 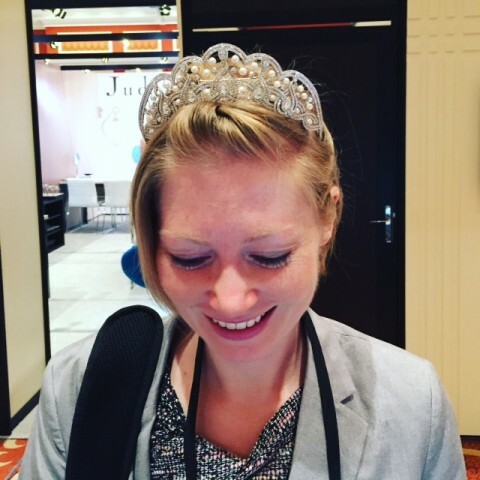 I even got to try some on (it pays to know people), and when the makers of this Garrard tiara (they design the tiaras for the British Royal Family...in case you didn't hear me, I said the BRITISH ROYAL FAMILY) asked if I wanted to try on this Princess Di replica, I very nearly wet myself. Between that and the limousine that transported me to my next event immediately after, I haven't felt so fancy in all my life. So I suppose if you spend several days in a diamond-filled convention center, your nights in an upscale luxury resort, and get to expense all your meals and cap everything off with a day sitting poolside, maybe Vegas isn't so bad. I may even look forward to next year. But only because of the tiara. In case you've missed the big literary news of the day (and this is positively epic), Harper Lee is publishing a new book this summer. 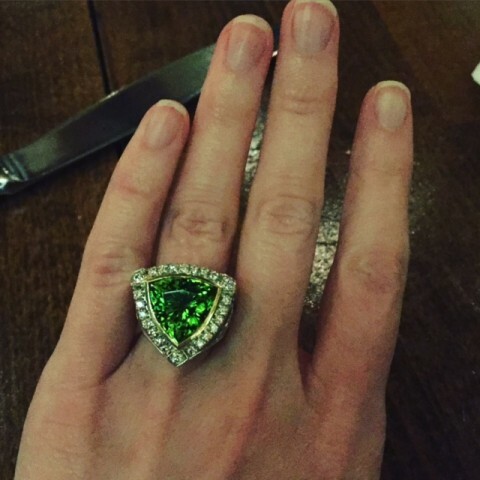 If you hadn't yet heard, I'll excuse you, as I myself was on Fifth Avenue looking at a couple pieces of estate jewelry (#ihaveaproblem) and had to hear via phone from someone else. But if you don't know who Harper Lee is, then you should be ashamed of both yourself and your high school English teacher. Harper only ever published one book, and it won a Pulitzer Prize. (Now that's the way to do it, am I right??) To Kill a Mockingbird can only be described as a classic, and while there may be a few people out there who are a little anxious about the story of the adult Scout being disappointing or not living up to its hype (although keep in mind that Go Set a Watchman was written before Mockingbird...it was the original book), I have a feeling the 2 Million copy first run won't be nearly enough. The feedback from early readers is that most of them like Jeweled better than Schooled. I confess this is very surprising to me, as I figured the universality of school would ultimately leave readers more satisfied than a book about jewelry…which, admittedly, is something most people don’t know about, care about, or wish to read about. I heard from someone over the weekend who told me he liked the new book ten times better than Schooled (praise, indeed! ), but his one complaint was the back cover copy, which he felt didn’t really capture the spirit of the book. (Let me just say right now that deciding on the back cover copy is much harder than actually writing the book.) What this reader was saying is that while the back cover copy focuses on the gems and the jewelry, the book is really held together by the stories I tell about love and marriage and family. A bit of an A-ha moment, as I hadn’t really thought about this book as being held together by love (although I do say in the book that the connection to love is one of my favorite things about jewelry). As I’ve thought about this over the days since my conversation with this reader, I suppose this might be why people are more pulled to this book than I predicted they would be. 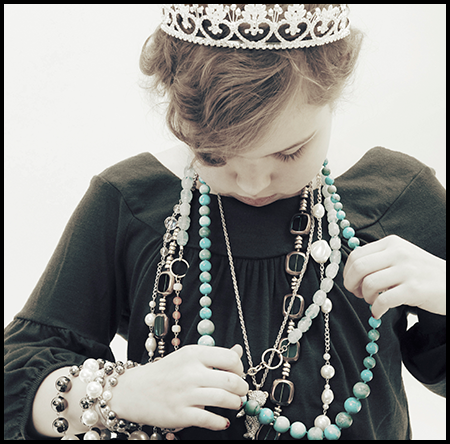 Here I thought I wrote a book about jewelry, when the overarching theme ended up being one that’s exponentially more universal. Surely, this was the real song title they were searching for in 1963. Well, the book is out (Kindle to follow shortly). And given the subject matter, a jewelry store was a perfect place to have the release party; a party that ended up being such a wonderful combination of people all gathered to support me. Which is exactly how I felt...supported. It's hard not to feel silly at a party thrown entirely for yourself, but on the other hand, it does feel nice to take a moment and acknowledge accomplishment, regardless of how insignificant (and unprofitable) it will end up being. And of course, now that the first wave of readers are reading the new book, it's been exciting to hear the initial feedback. This book really is so different than the first. And so, so sparkly.